In a 3-1 decision on Tuesday, the National Labor Relations Board said that graduate-level research and teaching assistants at Columbia University engaged in a campaign to be recognized as employees are, in fact, employees who qualify for collective bargaining rights. 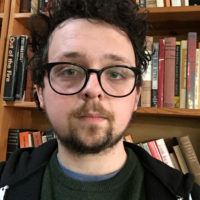 Graduate Student Workers of Columbia, affiliated with the UAW filed the election petition in December, 2014 which led to Tuesday’s decision overruling a 2004 decision which failed to recognize Brown University student workers as employees. You can find the full text of the decision here. In an interview on WIN Labor Radio, Columbia PhD student Olga Brudastova shared her hopes after the decision. The decision has sent shockwaves through academia. Last year, People’s World covered a rally at the University of Chicago where graduate teaching and research assistants sought the recognition they received through the decision today. Jazmine Salas, now a graduate of U of C with a Master’s in Social Work, was one of the graduate student worker-activists we spoke with. Today, she is elated for her former peers. 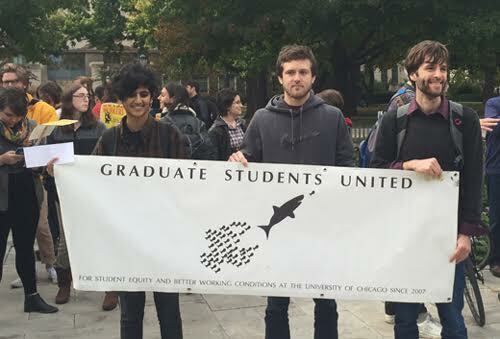 “I am extremely pleased with the NLRB’s decision to grant graduate students protections under the NLRA, including the right to unionize,” said Salas, “As an alumni of the University of Chicago, I know that graduate student’s labor keeps the university running. I am glad that the lines between “student” and “worker” are shifting because no one should have to endure exploitation in exchange for a degree.